Gold Medal sent me what you see in the photo in hopes that I might blog about it and of course I was impressed so I am! The flour is amazing and I loved making the kids some zucchini cupcakes with it. Sorry no photos because our family devoured it before I remembered to grab the camera! Our cupcakes turned out light and fluffy but moist. The flavors almost popped because this flour has such a mild flavor to it so it does not mask the ingredients. The flour/cookie jar is very nice and I love it. I can't wait to bake some cookies and fill it up! The stack of recipe cards is wonderful, a welcome addition to my ever growing recipe box. You too can win this amazing prize pack! With Americans looking for ways to add more whole grain to their diets, it’s the simple choices that can make a difference, like making the effortless switch to new Gold Medal® White Whole Wheat flour. Available in grocery stores this September, Gold Medal White Whole Wheat flour can help you bake it great with the goodness of whole grains! Unlike most whole wheat flours that are made from hard red spring wheat, Gold Medal White Whole Wheat flour is made with hard white spring wheat. So, it’s whole grain, but with a similar taste and texture to all-purpose white flour. Perfect for family favorite recipes like breads, pizza dough, cookies, muffins and brownies, Gold Medal White Whole Wheat flour bakes up golden and has a milder flavor than baked goods made with regular whole wheat flour. Start by simply substituting whole wheat white flour for 25 to 50 percent of the recipe’s flour content. You may wish to add an extra tablespoon or two of the liquid used in the recipe when substituting Gold Medal White Whole Wheat flour or decrease the amount of flour by one to two tablespoon for recipes that call for all-purpose flour. From breakfast to dessert and everything in between, find classic recipes that use Gold Medal White Whole Wheat flour at www.bettycrocker.com and make adding whole grain to your daily routine even easier, without sacrificing on flavor. Disclosure: Special thanks to MyBlogSpark for providing me with samples to review from Betty Crocker. I did not receive monetary compensation for this review. I was sent the product(s) free of charge by MyBlogSpark. It has been used solely for the purpose of this honest review. The views are strictly 100% my own. Receiving the product did not influence me to produce a positive review. 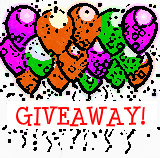 The product, information and prize pack have been provided by Pillsbury through MyBlogSpark. Prize pack will be sent by MyBlogSpark.